Although we live in the digital age where nearly everything is done through a computer or some other modern day communication device, in the business world, there will always be a need for good old-fashioned paperwork – and that’s where I come in. Being the Sales Admin Executive in charge of special projects within the Billing department, my daily routine revolves around making sure agreements and invoices for the company’s key clients are prepared, sent out and collected back in a timely manner. 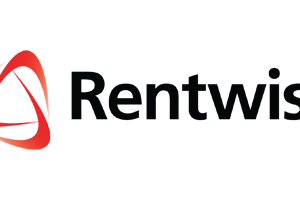 I also ensure Equipment Listing reports are up to date as these enable us to keep track of our large clients’ numerous asset movements and is the register for equipment being rented from Rentwise. Part of this role is to also manage the End of Lease requirements for these clients. This involves coordinating the extension, delivery and/or collection back of expired assets. When I first started working for Rentwise in June 2008, I was a fresh graduate with a Diploma in Hotel Management from Institut Hospitality Yayasan Pelajaran Johor. Besides my manager, I was the second staff member in the Sales Admin department. At the end of 2012, the department was re-named to the Billing department. Being new to corporate life, in the beginning, it felt like I’d been dumped into the deep end of the pool. However through self-perseverance, guidance and mentorship, it has been a wonderful experience witnessing the transformation of both Rentwise and naturally myself in my now close to five years of service with the company. I recall the time when I had zero knowledge of the products we were renting out, and whenever a customer asked for information about their rented equipment, I had to Google for information before I could answer their questions. Because of this, my work was sometimes slow and I made mistakes which other departments would complain about. However, looking back now, I see it was a good learning experience. Everyone in my team as well as in the Production, Warehouse and Technical team helped me grow by explaining and teaching me as much as I needed to know about our products, services, processes and procedures. Now, nearly five years later, I am one of the most knowledgeable staff in our team and I in turn am able to provide information about our products and services to the newer team members. I strongly believe that without the support of everyone that I’ve worked with I would not be where I am today. Every member of the sales team, from directors to managers has been great mentors and especially instrumental to helping me get where I am today. I’ve learned a lot about the IT rental business in these past few years. Before I became part of the Rentwise family, I was contemplating many different career choices ahead of me and had dreams of where I wanted to go in life. When I joined shortly after graduation as Sales Admin Assistant, I just worked towards whatever I thought would get me where I wanted to be – but all of that has changed. Taking chances led me to opportunities and experiences that I did not foresee would be available. I’ve gained practical knowledge in numerous fields and acquired a set of skills that I can apply to any future roles I take up, but most of all, I’ve figured out what I want out of my career. Personally, the best way to get things done and motivate myself along the way is to be well organized. I make a list of tasks to be accomplished and spread the work equally over the span of the week so that I don’t feel burned out. Once I complete a task, I cross it off the list, and this gives me a sense of accomplishment. Another motivating factor for me is getting constructive feedback on my work, not only for the positive boost I get from knowing I did a good job, but also because honest feedback helps me further hone my skills and improve my work. Teamwork is essential, and at Rentwise, we learn to recognise and appreciate the working styles of others as well as our own. By knowing everyone’s needs and how their strengths can contribute to the team’s efforts, we minimise conflicts within the group by respecting the values of others. Through this, we lay a good foundation for a solid working relationship and thus, are truly effective at what we do. When we embark on special short-term projects, our team members work together harmoniously to get the job done and motivate each other along the way. I’m proud to be in a team that serves our clients, many of which are big players in their respective markets. We’ve been through a lot together, from the highs to the lows, and I feel like we are one big family. A company is more than just a workplace; it is an entity characterized and driven by people who breathe life into it. Sometimes when we celebrate any events or festivals in the office, some of us make the effort to cook and share the food with everyone, myself being one of them as cooking is my hobby. To me, this is what a company is all about – it’s the people and not the workplace that defines it and serves as its soul, and that’s what we have at Rentwise.